Regardless of what else exists in this parking lot, the strip of stores is undoubtedly referred to by most as “Cosmos.” Sure, there’s also Doozy Duds, the Hookah House and K’s China, but the spicy ranch is the king of this block. But for me, the king’s reign ended last week. until last week. Tucked away in a small shop window, Santiago’s tiny space features no seating, a compact menu, and a trash can. Instead of fussing with table service or ambiance, this crew instead focuses their efforts on authentic burritos and breakfast burritos solely to-go. But don’t waste your energy searching the menu for avocado, hollandaise sauce or sautéed mushrooms. 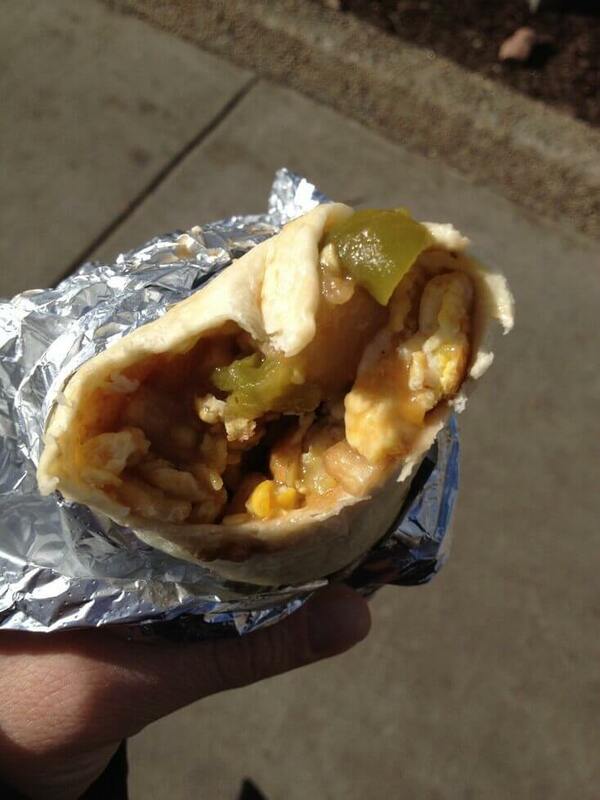 Instead, bask in the glory of a $2 breakfast burrito. The only options on the breakfast menu are meat or no meat, cheese and no cheese, and one, two or three (for two bucks, my hungry pals couldn’t help but stock up). 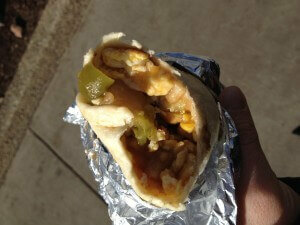 My meatless burrito was piping hot and oozing with eggs, cheese, and incredible green chili (I ordered mine medium). There wasn’t much to it, yet it managed to pack tons of flavor into a compact meal, perfect for a sunny Saturday after a night out. My review of Santiago’s is simple, just like their food. 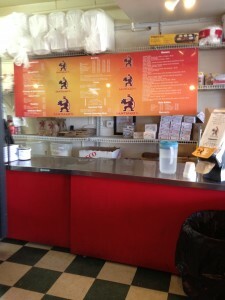 No fuss, not snobby prices, just solid and delicious burritos to go. I want to start an online busniess where I can earn money. I am planning an online parent coaching busniess where I can help parents through email and telephone conversations. I’ve never started a website and would like it to be fairly easy (if possible). Are there any free or inexpensive places where I can do this? What methods of payment are best to use? Thanks!. how about a school voheucr so I can get my kid in a private school so they don’t have to be indoctrinated by leftists, Forced integration , segregation, and held back because of Illegal Aliens and mandatory bilingual education. So far everything I have had there is prfceetly cooked, lightly seasoned to bring out the flavor of the meat and fresh fresh FRESH. He also has some great salads with mixes are wonderful with a bit of cilantro. We just had the pork chop sandwich last night and it was cooked prfceetly with moist pork, melted cheese, and delicious bread. And a giant portion. The chef is so friendly and talks to you like an old friend and is really interested in how you like the food. Awesome blog you have here but I was wondering if you knew of any fmrous that cover exactly the same topics talked about here? Ie2€™d truly like to be a part of group where I can get suggestions from other experienced individuals that share the same interest. In case you have any recommendations, please let me know. Bless you!